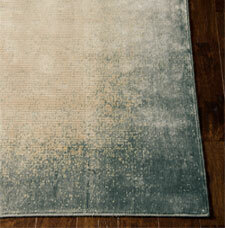 Maya is a collection of luxury modern rugs made by Calvin Klein design house. The collection features rugs made using a blend of super soft silk-like viscose and lush New Zealand wool. In addition the rugs feature various designs inspired by ancient Mayan artefacts and using neutral colours suitable for any room setting. The Maya collection is truly unique and will make a great addition to any home. Fabric: 70% Viscose 30% New Zealand Wool.